Let’s say you just found the PERFECT recipe online, but it’s designed for an old-school gas grill. How does one translate one type of grill setting to another? Grilling with gas can be very inaccurate and is oftentimes based on guesswork: low, medium, and high are subjective and result in inconsistent results. For this reason (and many others), we believe the Memphis Wood Fire Grill is a superior cooking appliance. You might, however, be confused as you transition from cooking with gas to cooking with wood pellets and Intelligent Temperature Control (ITC)™. Perhaps you find the perfect recipe online, but it’s designed for a gas grill. How do you translate the recipe to work with your Memphis Wood Fire Grill? 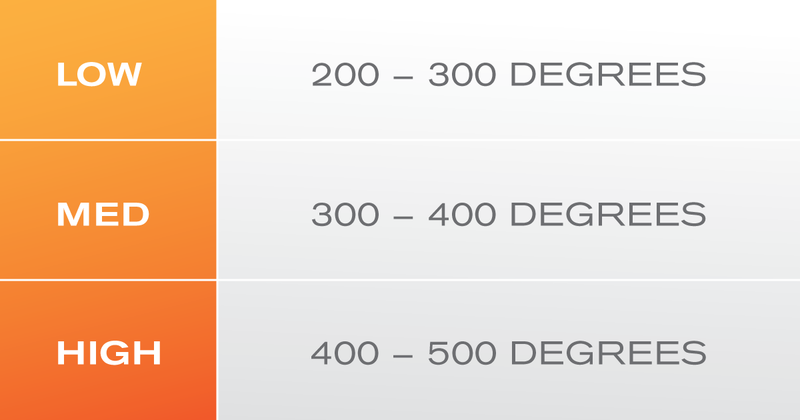 We use temperature ranges because every gas grill is different, but you are usually safe with the middle temp: 250°F for low, 350°F for medium, and 450°F for high. And of course, Memphis Grills are designed to get even hotter than the best gas grills (especially with our Direct Flame Insert), which lets you sear your meats to perfection.